The City of Dublin has “opted out” of the Mandatory Recycling Ordinance (ACWMA Ordinance 2012-01). Businesses and multi-family complexes in Alameda County are still subject to the Plant Debris Landfill Ban Ordinance (ACWMA Ordinance 2008-01), and those compliance requirements listed below. All multi-family complexes with 5 or more units and commercial accounts subscribing to 4 or more cubic yards of refuse collection service per week anywhere in California are subject to State Law and regulations mandating recycling service (AB 341). As of January 1, 2019, multi-family properties and businesses in California that generate 4 or more cubic yards of solid waste per week must also arrange for organics collection service by AB 1826. ACWMA Ordinance 2008-01 requires businesses and institutions in Alameda County generating 4 or more cubic yards of garbage per week to separate all plant debris from garbage and recyclable materials. Those with on-site service must place plant debris in a designated organics collection bin. Businesses can arrange for the removal of plant debris by their landscaper. The landscaper must haul to an approved facility and must deposit plant debris in the facility’s designated “clean green” area. ACWMA Ordinance 2008-01 requires multi-family properties in Alameda County generating 4 or more cubic yards of garbage per week to separate all plant debris from garbage and recyclable materials. Those with on-site service must place plant debris in a designated organics collection bin. Multi-family property owners or managers can arrange for the removal of plant debris by their landscaper. The landscaper must haul to an approved facility and must deposit plant debris in the facility’s designated “clean green” area. The City of Dublin contracts with Amador Valley Industries (AVI) for garbage, recycling and organics (food scraps, food-soiled paper and plant debris) collection service. Recycling collection, which consists of mixed (single stream) and separated cardboard service, is provided at no additional charge. Organics collection is available to Dublin businesses for a 50% discount compared to equivalent garbage service. Organics collection service is not currently available for multi-family properties. Besides the support materials listed below, AVI can also provide commercial customers with free decals, indoor recycling and organics containers, bi-lingual posters, business participation window decals, and custodial how-to-guides, as supplies last. Besides the support materials listed below, AVI can also provide multi-family properties with free decals, recycling reminder door hangers, and reusable bags with program rules printed on the front for residents to use in transferring their recyclables to the centralized collection containers, as supplies last. AVI also provides free waste assessments and trainings upon request. 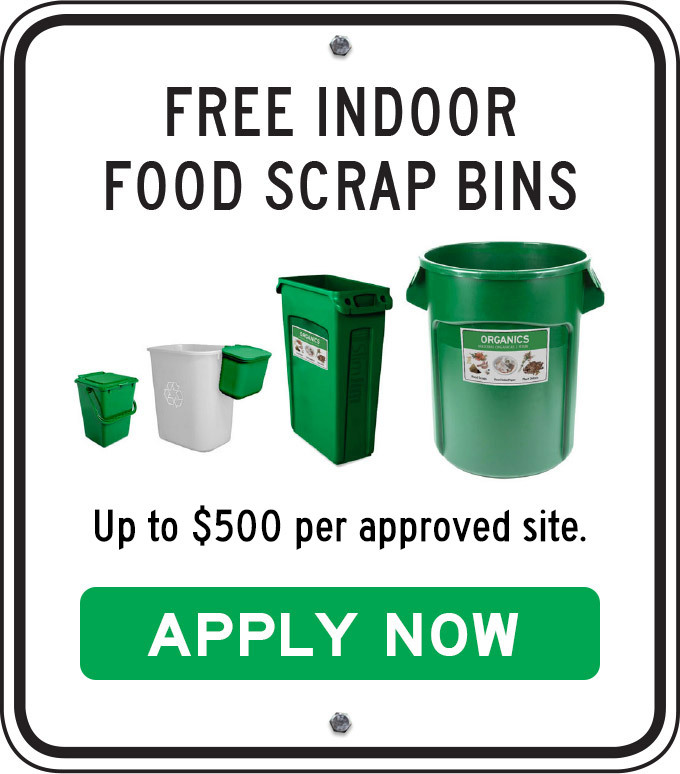 The City of Dublin also offers garbage and recycling enclosure grants for use in building new enclosures or modifying/expanding existing ones. Below are downloadable support materials specific to the City of Dublin. Additional support materials for any community are also available for businesses and institutions and multi-family properties.